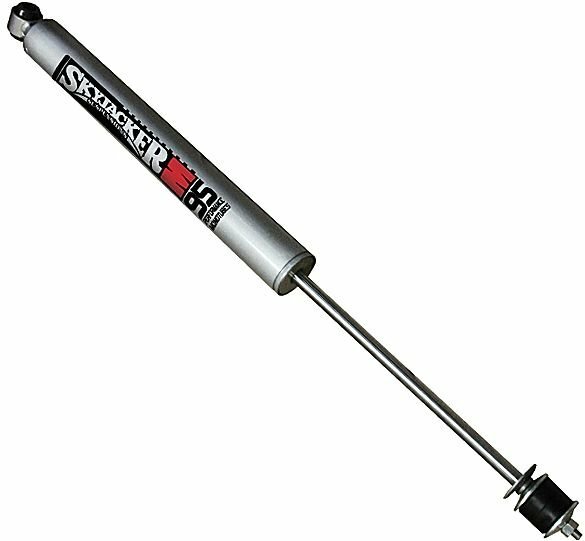 Skyjackers new M95 Monotube Shock is the ultimate shock absorber for light trucks, Jeeps and SUVs. This single tube design helps operating temperatures stay cooler under extreme conditions. The high pressure nitrogen gas and floating piston technology combine to create the fastest responding shock ever. No Fade Or Lag for Consistent Performance"
Fits 07-15 Wrangler and Unlimited JK with no lift.